The A-side to the “Dandelion” single, the track was recorded during the sessions for Their Satanic Majesties Request. Featuring backing vocals by John Lennon and Paul McCartney, “We Love You” is a piano-percussive bit of psychedelic pop cut in a style the band would soon abandon with the recording and stylistic shift of Beggars Banquet. A lesser known track in the Stones canon, “We Love You” remains a favorite from their incredibly brief “psychedelic” period. The Jazz Butcher Conspiracy did 3 great cover versions of this song on SHOCK CD 4001T in 1990 as J.B.C. Love this song! 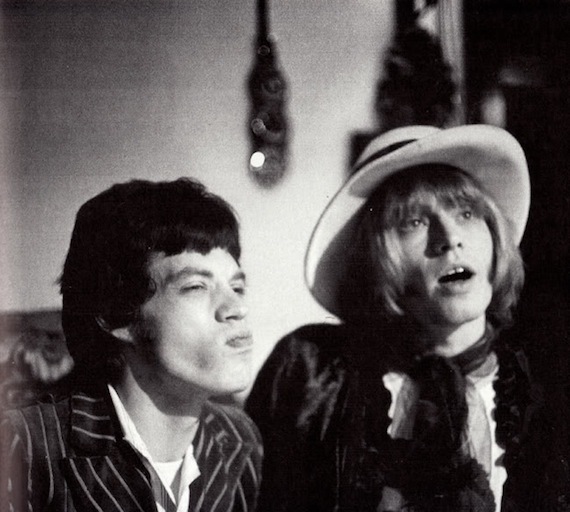 Brian Jones is a genius of the 60’s and any era. Nice one. Keep on posting great stuff !